Hallelujah! After a little over a year of life in Trumpsylvania, some big dudes in the mainstream media (aka MSM) are finally beginning to recognize their own complicity in this national disaster. First came news of Jeffrey Toobin's mea culpa on Larry Wilmore's podcast last Monday. "I think there was a lot of false equivalence in the 2016 campaign," said Toobin. "That every time we said something, pointed out something about Donald Trump — whether it was his business interests, or grab ’em by the p–––y, we felt like, ‘Oh, we gotta, like, talk about — we gotta say something bad about Hillary.’ And I think it led to a sense of false equivalence that was misleading, and I regret my role in doing that.” (Note that I have put some words above in boldface. The emphasis is mine.) Wow! 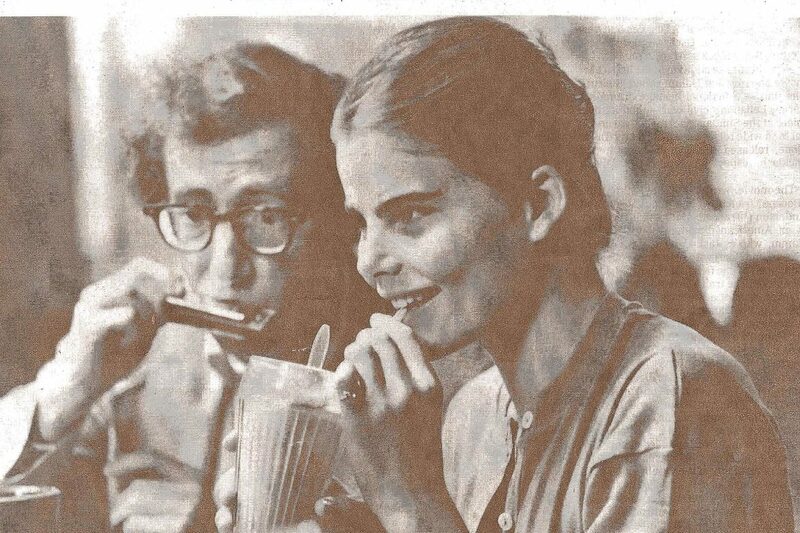 Then, today, the New York Times printed a column called "Coming to Terms with Woody Allen" on the front page of its Arts section (aka page C1). Have I died and gone to heaven? YOWZA! Allow me to crow: "I told you so!" Of course, Nicholas Kristoff (in collaboration with his wife Sheryl WuDunn) has always been on the right side of the gender equality issue, but he said his own say in so many words this week too: "The fundamental fault line today is between those working toward broader opportunity and those yearning for a mythic past before feminists developed “nasty, snake-filled heads.” To be on the right side of history, we should all, men and women alike, stand on the side of the she-devils." FYI, here is the link to Larry Wilmore's "Black on the Air." Love ya, Larry! Meanwhile, as Scott begins to "start all over again," I humbly suggest that he add An Education (2009) to his list. Scott -- like most male critics -- barely saw Olivia Williams as "Miss Stubbs" (probably because this beautiful actress had been deliberately dowdied down for the role). But maybe if he watched again, he might finally realize that it is Miss Stubbs -- not Paris -- who is the real life preserver provided by Scherfig & Hornby. "The great surprise is Olivia Williams as Miss Stubbs, her depth of character used to counterbalance Sarsgaard’s dazzling surface. Best-known as Bruce Willis’ wife in The Sixth Sense, Williams, like Sarsgaard, has a long list of well-regarded supporting roles, but made dowdy here, this very beautiful woman really touched my heart. Miss Stubbs is a formidable presence; although both her look and her affect are constrained, she clearly has a discerning eye, acute intelligence, and a well-developed conscience (a quality otherwise in short supply)... In this film, a teacher literally saves the day. After a few semesters in [David's] “University of Life,” Jenny returns to her teacher, and Miss Stubbs is the one who provides the final boost required to launch Jenny from her time into our own." Photo from An Education by Kerry Brown. Olivia Williams as "Miss Stubbs" leads a class on Jane Eye with Carey Mulligan as "Jenny." I think it’s by A. O. Scott. Actually I was very disappointed when I read the piece. Before then, I thought his pretentiousness was just due to his burden of overt verbalism. However, his reevaluation of the filmmaker’s works reflects his fundamental fallacy of literature criticism, and he is “front man” of NYT on films. I read the WaPo article, too. What is the point? Judge people by his/her creative writings, even the working drafts? Shall we revive National Legion of Decency blacklisting, too? Shall we burn the complete anthology of notorious women and wrong men by Hitchcock? Or Hamilton? Does Scott’s “epiphany” sounds like reversal of “now they like me’ lamented by Max Bialystock near the end of The Producers? PS: Yes, Tony Scott writes under the name A.O. Scott. His first name is Anthony. ’nuff said on that subject, OK?